Access your iOS file system. Is there a better alternative to Macgo iPhone Explorer? Is Macgo iPhone Explorer really the best app in System category? Will Macgo iPhone Explorer work good on macOS 10.13.4? 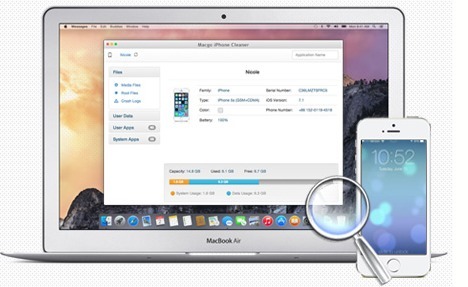 Macgo iPhone Explorer is a free iOS file explorer software designed to access, explore and manage your iOS file system with or without jailbreaking. You can easily add and delete all types of file saved on your iOS devices. Moreover, it allows you to copy all types of files between your Mac and iOS devices, it's also an easy and safe software to operate with. Manage your files in iOS devices The iPhone Explorer gives you the power to add or delete whatever files you need to modify, so you can make your own decisions about how to manage a file or a video as the way you want it to be. Easy and safe to operate: with its cleaner interface, the iPhone Explorer is easy to handle for everyone; besides, the software knows better than you to identify what really matters for your devices and makes sure important files stay without being incorrectly deleted by you or other Explorers. In other words, your files are completely safe with it.